If I could marry a Halloween costume (LOL?) I would marry the hat for this one. I don’t know why but I am SO INTO IT. After we made it, I just kept walking around the studio saying OMG THIS HAT! IT LOOKS SO REAL!!! 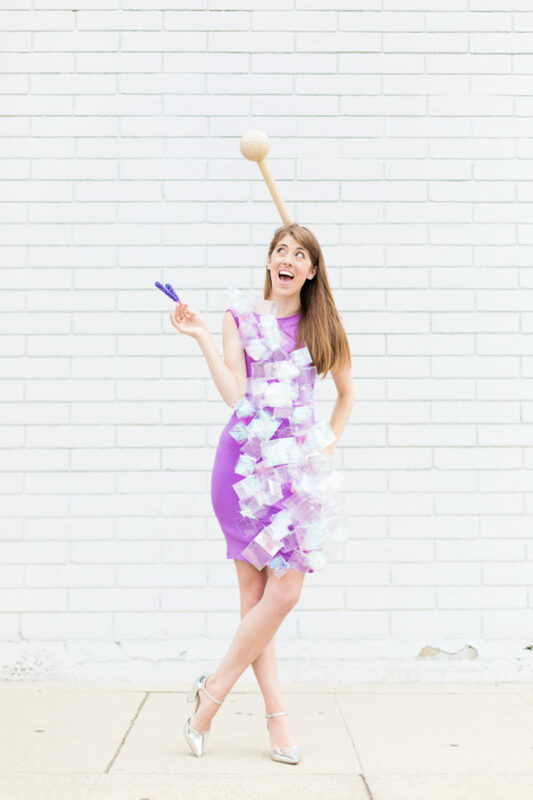 Yes, we made a DIY rock candy costume. Yes, complete with plastic boxes turned sugar crystals. (!!!) HOW FUN IS IT!?!!? I love rock candy because it’s so iconic and recognizable, but the hat really seals the deal. Imagine if you walked around handing out rock candy in it!? You’d be making dreams come true!!! !